Designer Bath and Salem Plumbing Company invites you to its Beverly showroom TENT SALE with a special kick-off on Saturday, June 17th, featuring music and prizes from MAGIC 106.7 from 10 AM - 12 PM. Everything is on sale with discounts up to 75%! 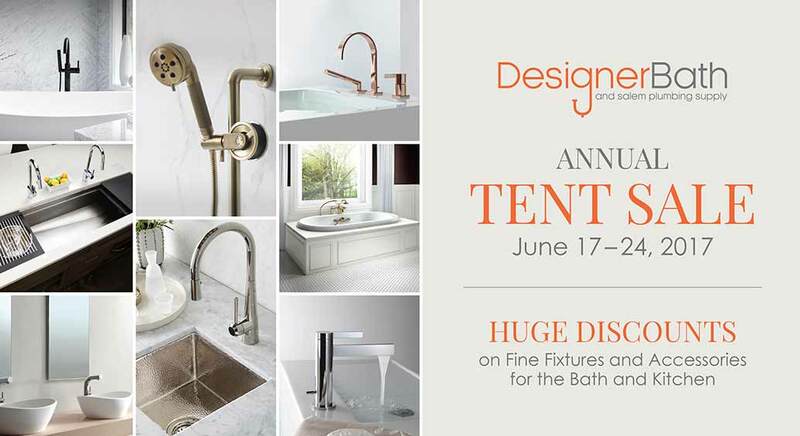 After the Tent Sale, Designer Bath is extending the savings on all items at the Beverly showroom from June 17-July 3, 2017. 97 River Street in Beverly, MA.